Chinese influencer platform Robin8 is planning an expansion from March 2018 to capture the global influencer market. This comes after the company launched an initial coin offering (ICO) last year and managed to raise a staggering $20 million in just one minute. As reported by TechWire Asia, the platform has profiled 30 million people across 13 social networks on search engines, as well as communicating with 250,000 content creators and micro influencers. It has also reportedly completed 5000 marketing campaigns. The company states that it's 'Profile Utility Token' is a new type of social media support that is being utilised via blockchain technology. A profile on Robin8 can be tokenised, allowing an influencer's presence to be monetised. Robin8 is currently using this method in the advertising space using an influencer search engine. The engine sifts through countless profiles and organises them. Users can use the app to interact with influencers and advertisers, whilst utilising PUT as a currency. Influencers will be compensated with the token in exchange for sponsorship. 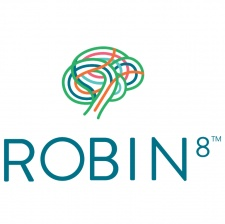 The ICO seems to have garnered some success for Robin8 so far - the company boasts Porsche, Unilever, Furla, Dunkin’ Donuts, Starbucks and EF English First as clients.